← Welcome to My World of Cooking! I recently held a Birthday Dinner for my Hubby and our Best Man’s wife, since they are both born on the same day 🙂 I wanted to make something fun and easy to put together so whats more easier than tacos! 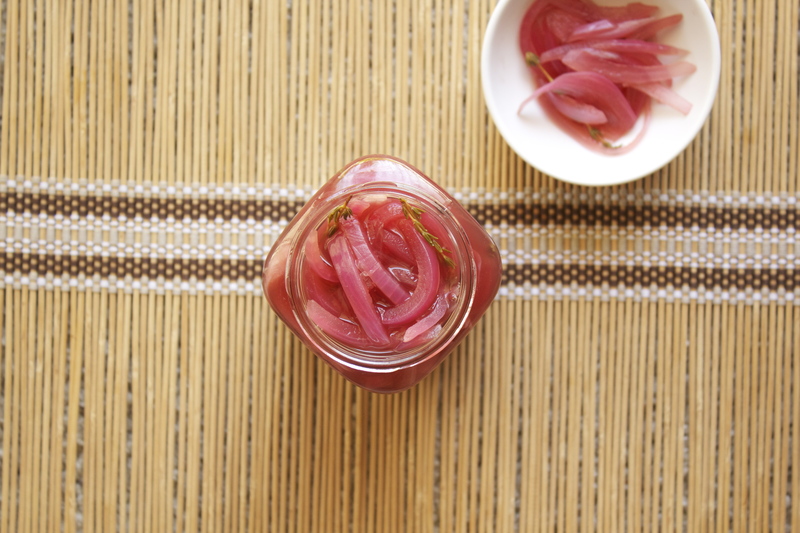 I made yummy Pulled Pork (recipe coming soon) and I added an extra touch by topping them with these yummy pink pickled onions. These mouthwatering onions brightened up the flavor of the tacos and were a nice way of impressing the crowd! 1. Place the vinegar, honey and salt in a small sauce pan and bring to a boil. 2. Add the sliced onions and thyme, lower to a simmer, cover and cook for 5 minutes until the onions soften. 3. Turn the heat off and let it sit until it cools. 4. 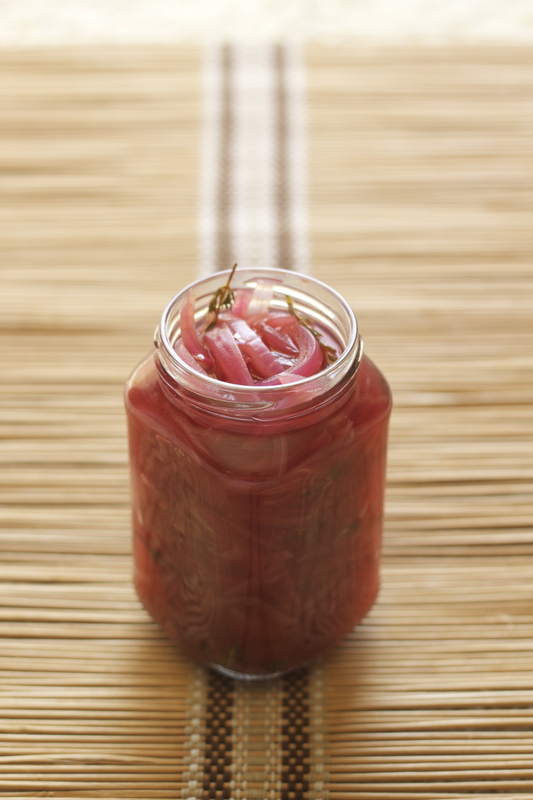 Place in any size jar and refrigerate.